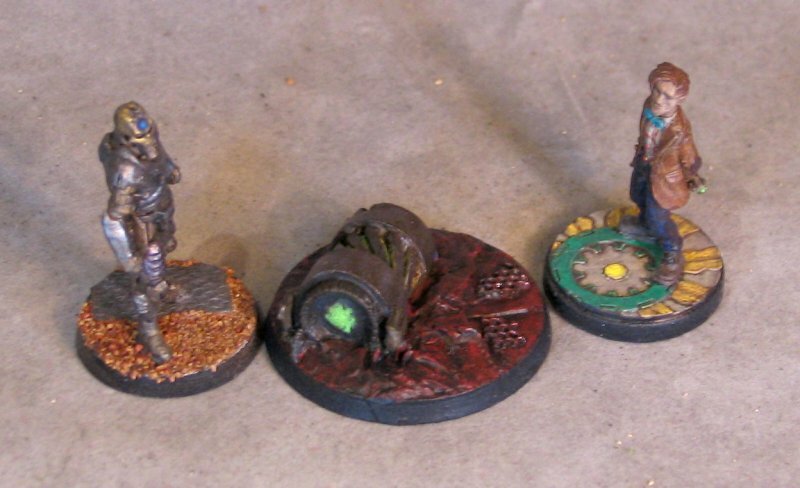 A mix of clutter for ultramodern and scifi games. 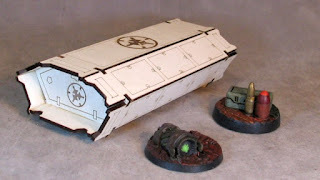 From Antenociti's Workshop,their line f pre-painted laser cut terrain for Infinity- the first of 2 Aleph cargo containers. 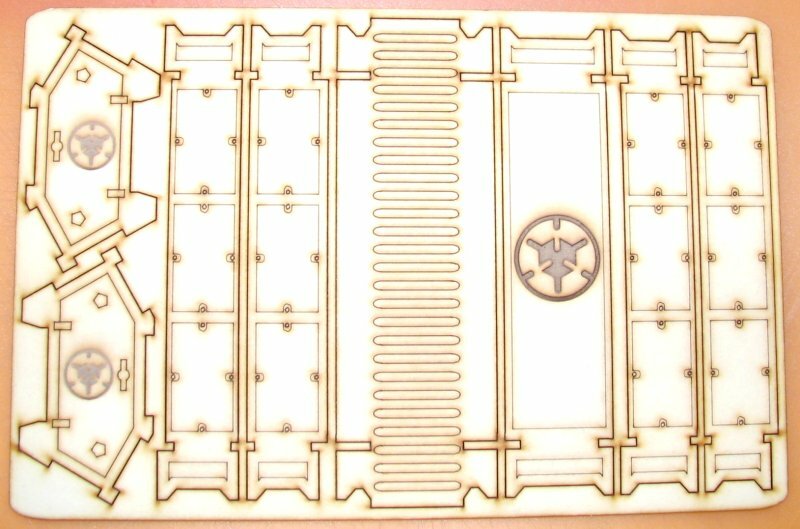 It comes as a sheet of laser cut wood (above) covered in some masking tape type stuff that you peel away to reveal the paint job underneath. 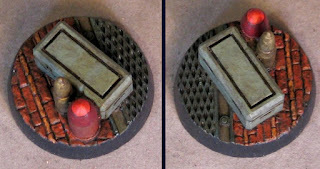 There was a little confusion with the assembly, but once I figured out which panel went where ti sliped together nicely. 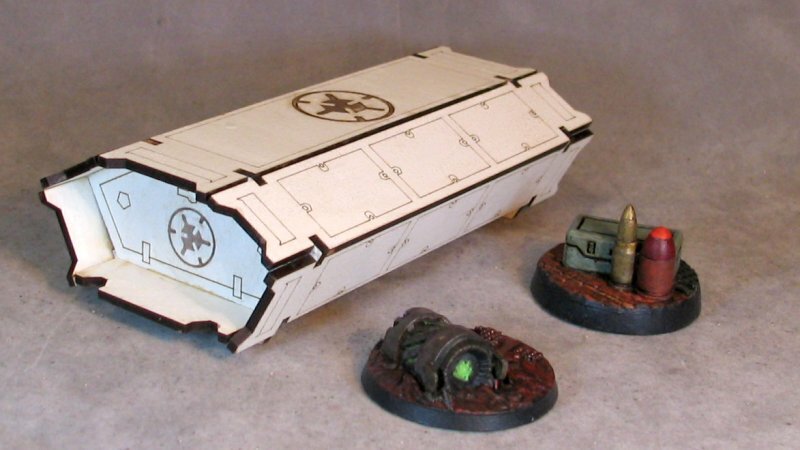 Comparison shots with a Repaer Bones more traditionally shaped cargo container. 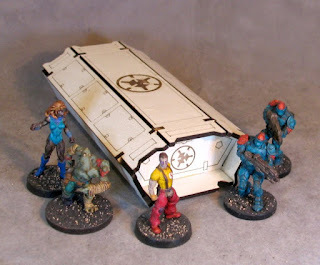 Some Reaper and Mantic figures to help show the size of the container. 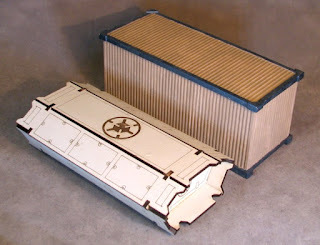 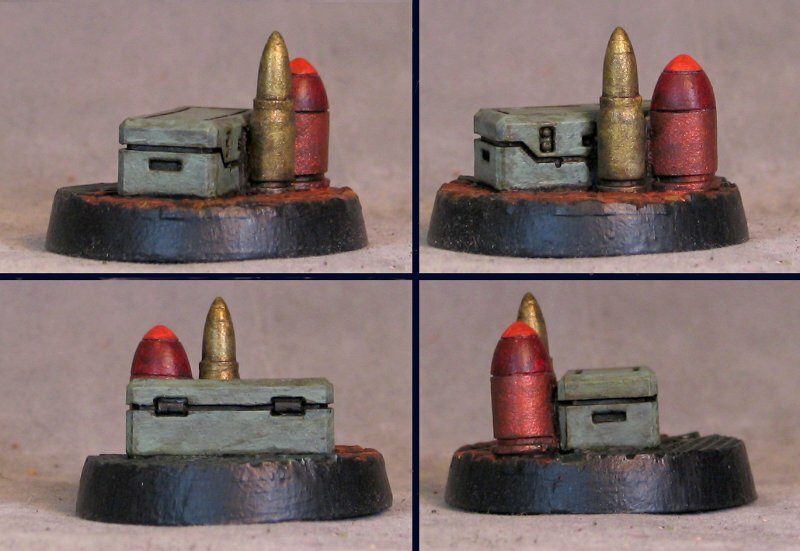 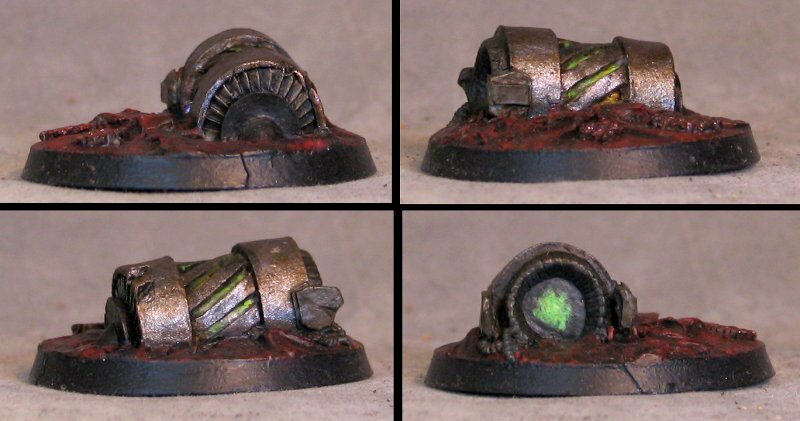 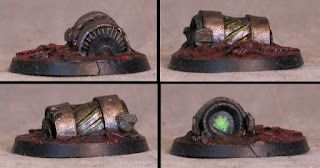 From Kabuki Models, a scenic base that will work well as an objective marker (some kind of containment device or detached vehicle engine/thruster). 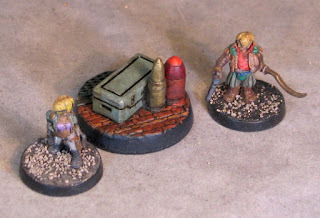 Comparison shots with some minis. 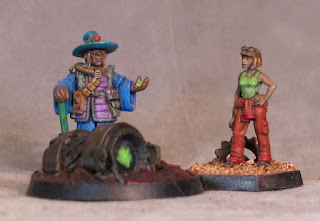 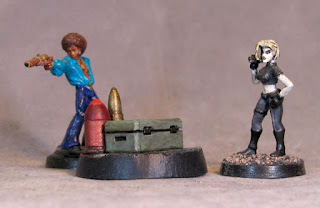 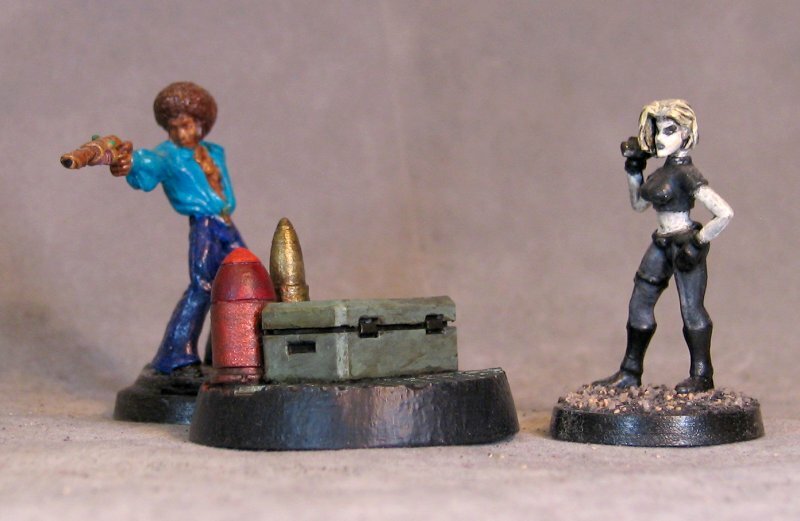 Above- Colony 87 and Pulp Figures; Below- converted Heroclix and Heresy Miniatures. Finally, from the DragonForge "Goth Tech Expansions" is the special Ammo Objective Marker. Comparison shots with some minis. 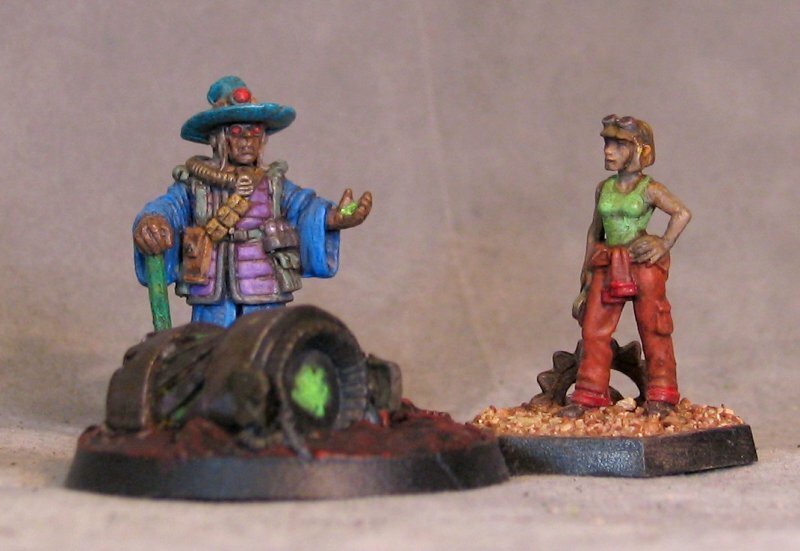 Above- Reaper Bones and Heroclix repaint; Below- 2 Hasslefree Space Dwarf Adventurers.